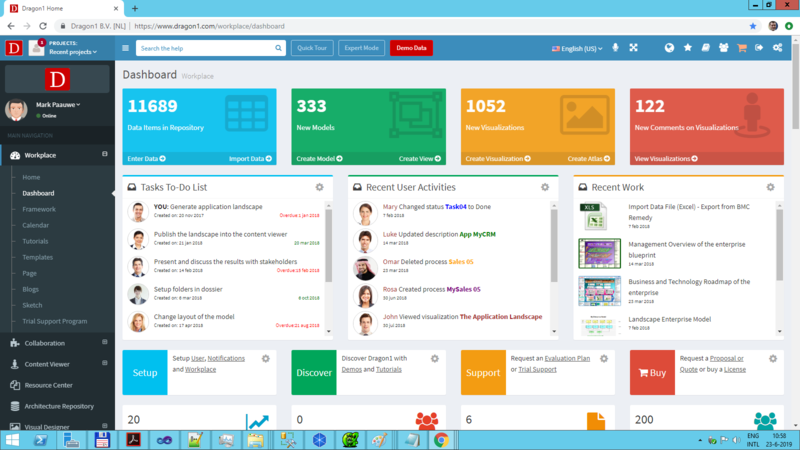 Dragon1 is an easy to use platform for agile online collaboration in EAM. What is the Online Collaboration application? Online collaboration is having a group of people work together in real-time over the Internet. Dragon1 supports this in a visual and agile way. You as an individual or as a team create effective architecture products, like landscapes and blueprints, for benefits like cost reduction, process improvement and innovation enablement. The starting point for collaboration is the Workplace Dashboard. There you see the Tasks To-Do List for you and your team members, the Recent Activities of everyone and the Recent Work you created. Are you working Agile and with Scrum? 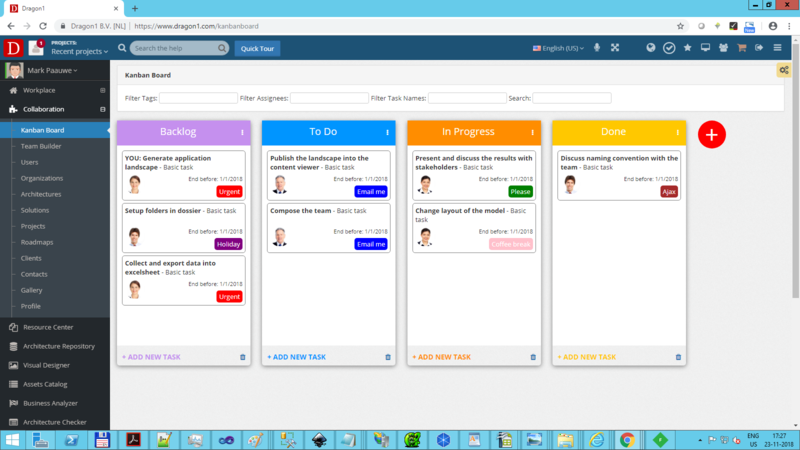 Plan your tasks and do your sprints using the Dragon1 Kanban Board. Do you want to get the most out of your people? Compose the most effective agile teams using the team builder. 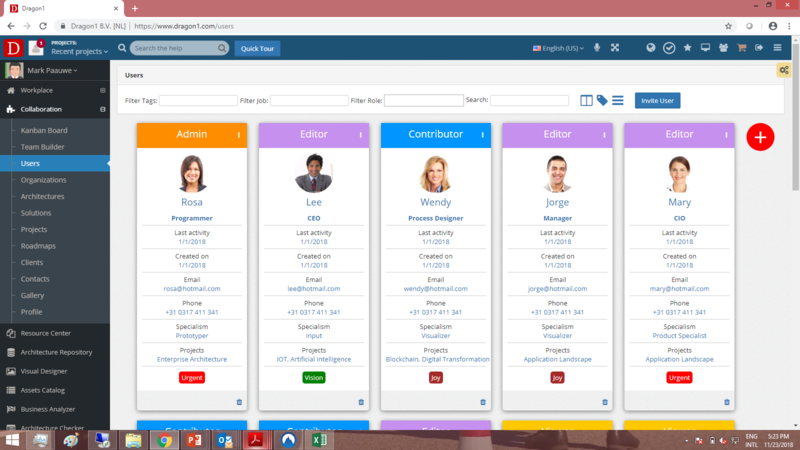 Define and manage the users and their user profiles of your account on the Dragon1 platform. This enables creating great teams and next having them work together effectively and efficiently on Dragon1.